Baking for San Antonio All Day, Every Day! What does fresh mean for you? Cake Art bakes every day to ensure that every customer enjoys that fresh cake taste you have come to expect from San Antonio’s favorite cake shop. In addition, Cake Art’s pastries and desserts are baked from scratch daily, guaranteeing satisfaction in every bite. Our goal is to make your experience memorable and delicious. As such our philosophy is a simple one: to provide the best tasting products, using the highest quality ingredients so that we can share in your special occasions or those just because treats… starting everything, from scratch. All of our desserts are handmade with great care and passion. Cake Art strives to maintain a standard of excellence that starts with our ingredients and ends with that first delicious bite. Starting with high quality ingredients allows our recipes to shine. Tried and tested, Cake Art’s recipes bring new and remembered combinations to life. 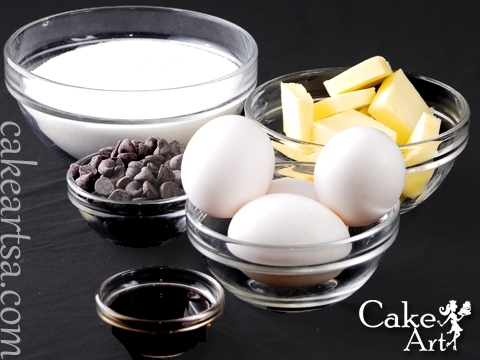 At Cake Art, our “from scratch” philosophy truly focuses on the handmade and core principles of beginning from the start with a goal of quality. We invite you to work with us in making special memories by sharing and savoring the sweet part of life and we understand that starts with the community. We recognize the importance of a devoted and friendly working environment that is not artificially fostered. Our staff aims to work cohesively… like the extended family that helped make this bakery a reality. Please come by Cake Art in San Antonio, Texas, send us a message, or call us at (210) 277-0308. We’d love to hear from you!